Diane Goldberg has always been creative, but it was the combination of her great-grandmother’s old buttons, her love of vintage fabrics, and the lucky discovery of a giant pile of old pennants that launched her eight-year-old business, Vintage Threads Design. While she adores the vintage elements found in her pillows, Diane always strives to repurpose, recreate and reimagine them into something modern. “My favorite compliment is when people of all ages tell me they’ve never seen anything like my creations,” she says. 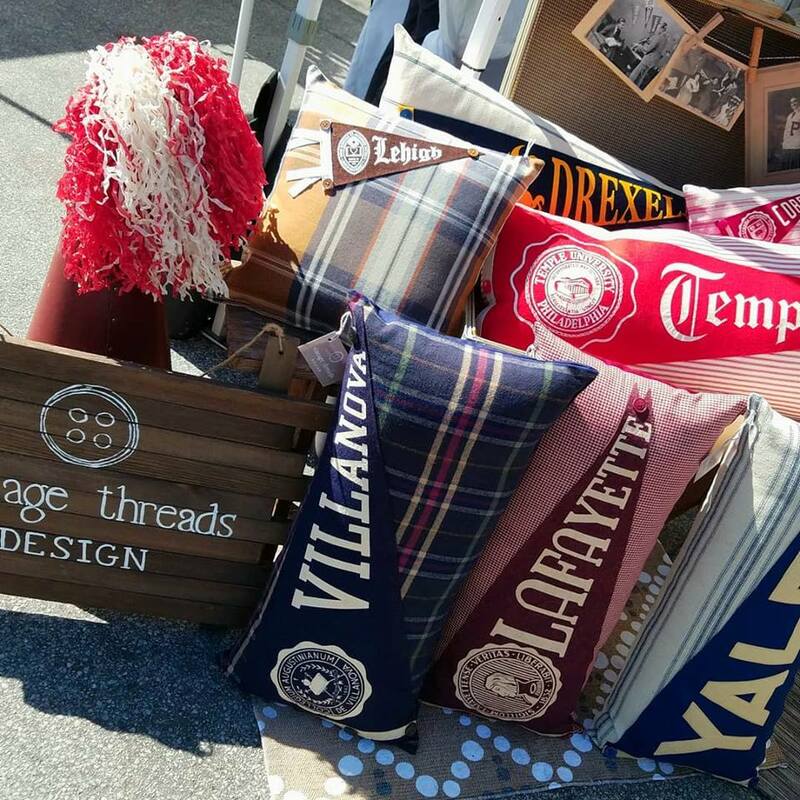 Come see Vintage Threads Design on June 16 from 10AM – 4PM at McConkey’s Market in Washington Crossing Historic Park (PA).